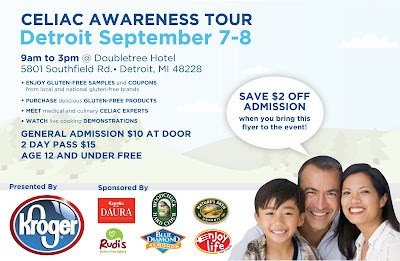 A Busy Mom's Slow Cooker Adventures: Gluten-Free Awareness Tour is 3 days away!!! 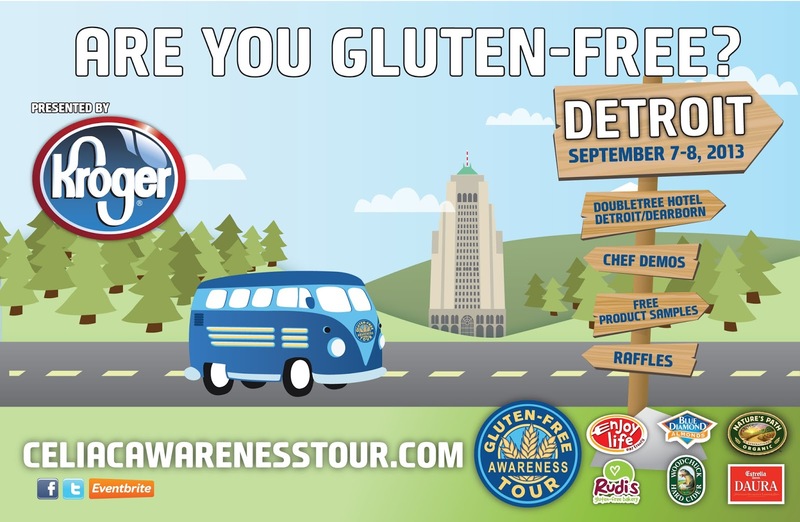 Gluten-Free Awareness Tour is 3 days away!!! 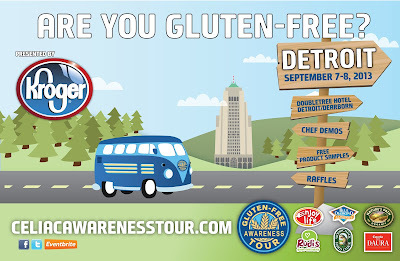 The Gluten-Free Awareness Tour is coming to Metro Detroit September 7 & 8, 2013 from 9 am-3 pm. It will all take place at the Double Tree Hotel at 5801 Southfield Expressway, Detroit, Michigan. There will be tons of gluten-free samples to taste, nutrition and Celiac Disease experts to chat with....AND I will be giving a chef demonstration on September 7 at 11:15 a.m. as well called "Conquer Gluten-Free Slow Cooking with Confidence!" I'm so excited I can hardly stand it! I feel so honored I was asked and I promise not to let you down! I will also be selling my cookbook "Slow Cooker Recipes 10 Ingredients or Less And Gluten-Free" there for $20/copy and will be signing them! I can take cash or credit! * I am being compensated with 2 free tickets in exchange for this post. All opinions expressed here are entirely my own.